It’s often said that no one beats mother nature at her own game of producing the best products so in today’s skincare series, we go back to nature. Aum is a brand I’ve only recently been acquainted to but I’m glad I was introduced to it. 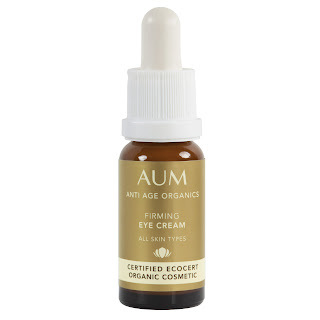 It is one of the few Australian brands that is entirely organic and nature based and has received certification from EcoCert for its entire product range. 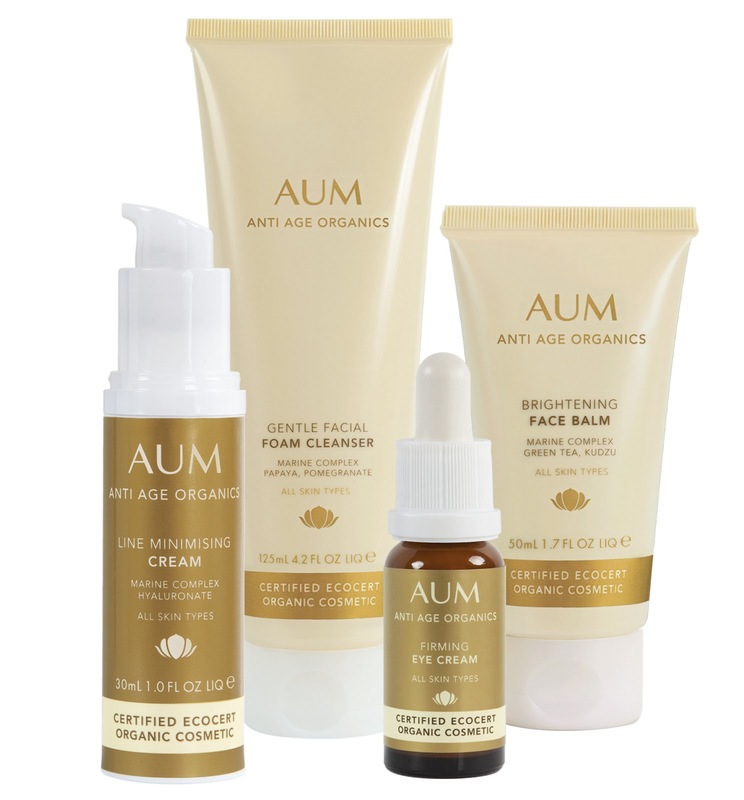 The most exciting release from Aum was its new line of anti-aging product launched last September. The line comes with 4 products – a daily facial cleanser, a firming eye cream, a brightening face balm and a line minimising cream, all of which has been scented with a warm earthy ylang ylang and sandalwood oil. 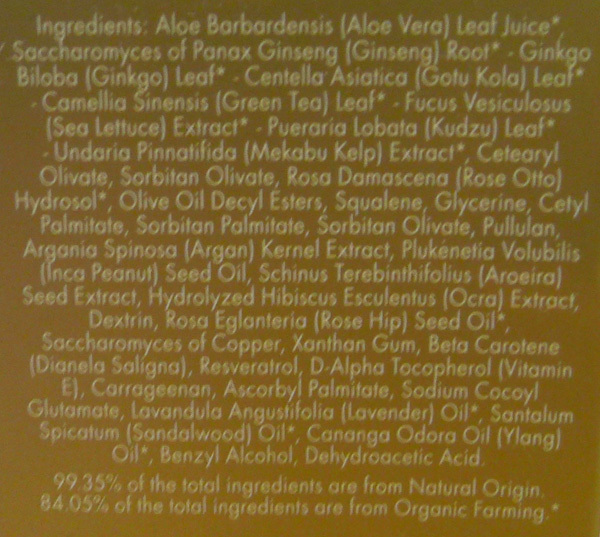 The star ingredient of this new line is marine complex from seaweed which contains an active called Fucoidans. 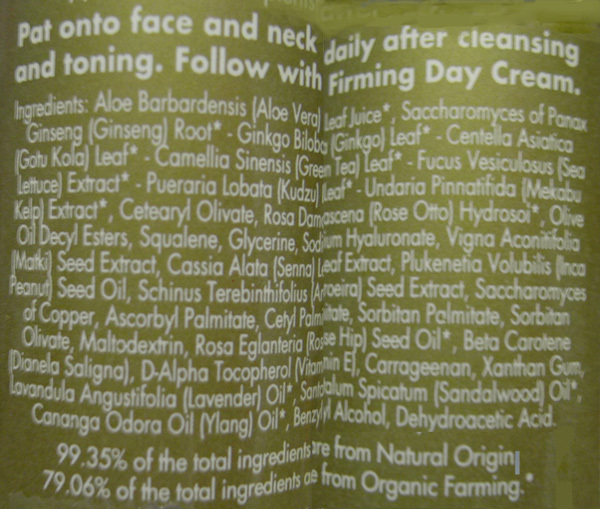 The process of bio-fermenting the marine complex enriches it with antioxidants and vitamins with the resulting brew full of boosted actives that help inhibit and slow down the skin’s degrading process by preventing the break down of elastin and hylaouric acid while promoting the production of collagen. Not so foamy, I class this watery gel cleanser in the low foaming category. It is indeed gentle on skin and doesn’t strip off moisture from the wash or leave a tight feeling afterwards. Contains aloe juice with papaya and pomegranate extract to help keep skin smooth and soft. This has to be my favourite product from the range. It is light cream in a dropper bottle that quickly absorbs into the skin on the eye area and you can feel it working away with a tightening effect felt straight afterwards without being too greasy but still emollient enough to moisturise. The scent again was quite strong but surprisingly, after a few days use, I got used to it and hardly notice it unless I’m focusing on it. The other good news about the overpowering scent is that it does fade off over 20 minutes time. 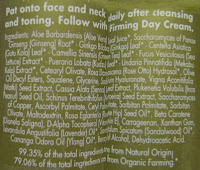 After 2 weeks use, I start to see that skin is firmer and more taut, fine lines are lighter and less pronounced. I can only conclude that the extracts from okra which are meant to act as a natural botox by inhibiting the muscle contraction is really working! The only results that is missing is the brightness factor (which is made up by the brightening face balm below) and the rate of improvement is not as dramatic over a space of 2-3 weeks but if you persist with using the eye cream, you will get results in the longer run. Another favourite of mine, this light emollient cream instantly re-hydrates and smooth skin without stickiness or greasiness. The vitamin c from Acerola cherry is added to brighten skin, fight pigmentation and act as a natural sun protectant (vitamin c gives SPF 2 protection) whilst ginseng is included to help boost blood circulation to give an even complexion. Again it was only after 2 weeks use that I saw some visible results of overall improvement to skintone and new blemish scars fading faster than usual. I think this is a great maintenance product to use (especially if you are trying to stretch out the use of other more expensive treatment products) as you get a glow in skin after 3-4 weeks use and long term use will see the vitamin c help skin slowly repairs any existing pigmentation damage. The cream also contain matki, a super lentil full of antioxidants and vitamins to boost skin renewal and has similar effects to retinol without the associated irritations. 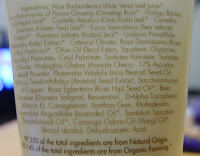 When applied first on skin without any other product, this non-greasy cream gave me a skin tightening sensation. Others may like that feeling but I found it uncomfortable and so always layer this on top of the brightening balm to eliminate that tight feeling. 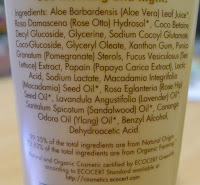 After10 days use, skin is supple, yet firm and I found it really did help in maintaining good skin elasticity over time. Expression lines were minimised as skin’s hydration level increased so that skin appeared plump and younger looking. Overall, I’m very pleased with the results from Aum. 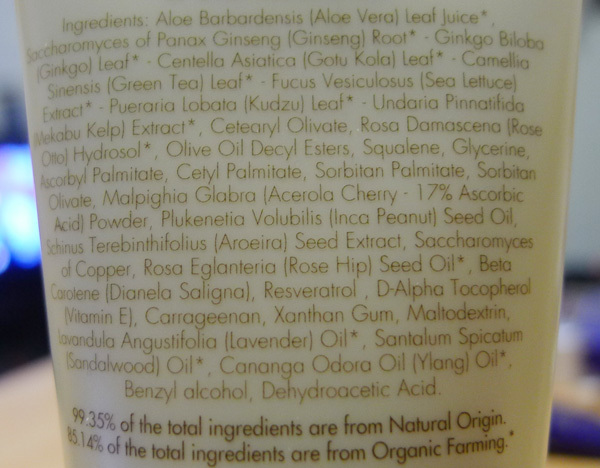 They do take a bit longer to give results but you can be assured that products contain no synthetic chemicals and not only natural based but are of organic origins where possible. 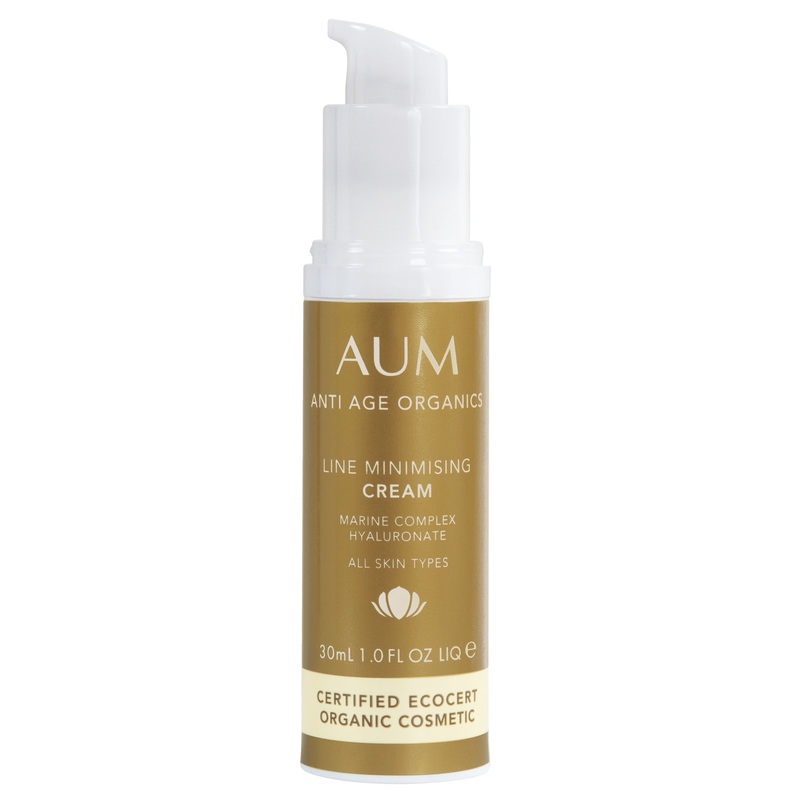 If you are making the conscious decision to choose natural and still want visible improvements to skin tones and texture as well as fine lines, then there is no more affordable choice than Aum. Available at selected Myer department stores and organic health retailers. 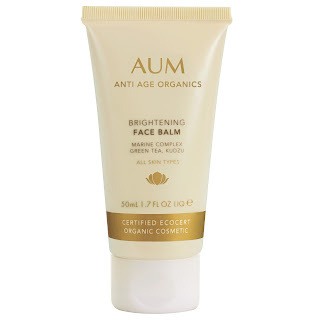 For stockist information visit Aum Beauty online. This range of products was provided for consideration. Ive been wanting to try this but had been really hesitant as they seemed a little faux natural. Now they are Ecocert Im assured that they are truly green. 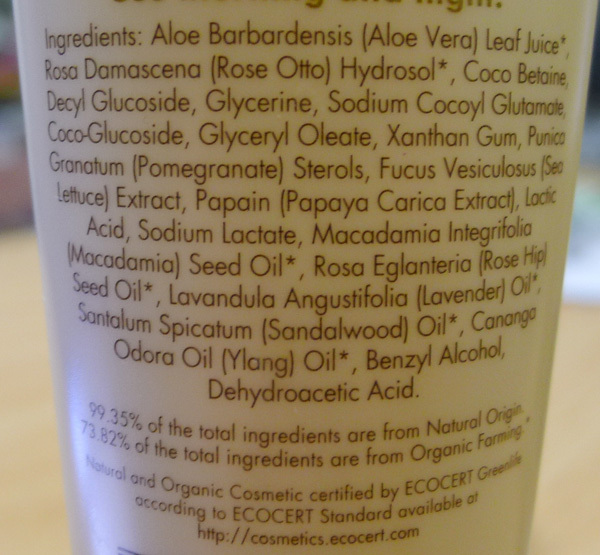 I tried "Gentle Facial Foam Cleanser" and it's just perfect for my type of skin. It's very useful for me and I think I'll try other products from this company as well :D It's great that we can find so many skin tightening creams and we can follow some treatments for this problem as well. Thank you for the article! I think the Brightening Balm looks lovely! Will have to look into it, thanks. Was nice to see you the other night! Cosmetics are better in creating better and effective shine of skin. It increase tightening well of skin and make that well looking. 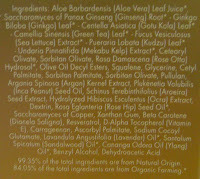 Tea - you will be pleasantly surprised... other than the tight feeling from the line minimising cream, I think the results are very good.